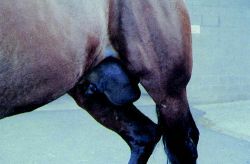 an irreducible hernia in which the circulation is arrested; gangrene occurs unless relief is prompt. a hernia in which the blood vessels have become constricted by the neck of the hernial sac, resulting in ischemia and possible gangrene if blood circulation is not quickly restored. 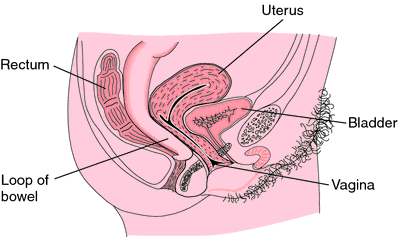 The prolapse of a loop of intestine into a hernia sac with vascular compromise and, if unresolved or trapped for a prolonged period, infarction of the entire prolapsed loop. Cf Incarcerated hernia. 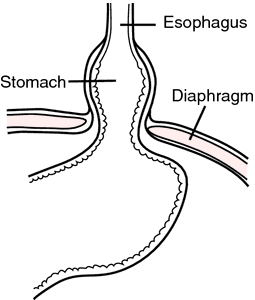 An intestinal hernia in which the blood supply is cut off because of compression of the vessels at the neck of the hernia. 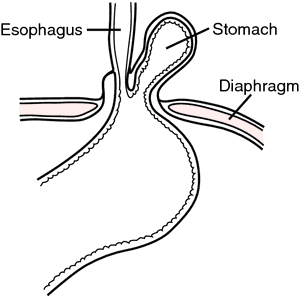 A hernia that is so tightly incarcerated outside the abdominal wall that the intestine is blocked and the blood supply to that part of the intestine is cut off. But I digress: let's return to the chap with the strangulated hernia. Cllr Eric Smith died in Warwick Hospital on February 20 after suffering a strangulated hernia. He was rushed to hospital in the northern Italian city of Perugia where doctors diagnosed a strangulated hernia. Exclusion criteria included age below 18 years, multiple surgical procedures in the groin, recurrent hernia, femoral hernia and strangulated hernia. Ken had a nasty scare in 2008 though, when he suffered a strangulated hernia. The coroner ruled that Mr Reilly died of multiple organ failure as a result of a strangulated hernia. But then he was rushed to hospital with a strangulated hernia and she took me instead - but not before charging and insisting I pay for the parking and coffee for her and her husband. All cases of groin hernia are not suitable for laparoscopic hernia repair as it is contraindicated in strangulated hernia, sliding hernia, irreducible hernia and patients who are elderly or have co-morbid conditions. Friends reckon the workaholic comic is not so bothered about the "minor operation" on a strangulated hernia as having to disappoint fans by cancelling a couple of shows. The diagnosis mostly depends on clinical judgement, and should be considered in elderly patients presenting with an incarcerated or strangulated hernia. We rushed him to hospital and after two days of worrying and exhaustive tests, he was finally diagnosed with a strangulated hernia - basically a blockage in his bowel had twisted. YourLIFE: ..I WAS HAVING TWINS! Doctors thought my baby was dead. Then they discovered. Exclusion criteria were age <18 years, irreducible hernia, obstructed hernia, strangulated hernia, recurrent hernia, patients who could not afford the mesh and patients with uncontrolled diabetes mellitus.